The City of Sydney’s transformation of Prince Alfred Park has earned the NSW medal at the Australian Institute of Landscape Architects state awards. The redesign by landscape architect Sue Barnsley Design, Neeson Murcutt Architects and the City represents the most extensive upgrade to the park in over 50 years, including new tennis and basketball courts, play areas and landscaping. Lord Mayor Clover Moore said the 7.5-hectare park in Surry Hills had already proved a winner with thousands of residents, visitors and city workers. 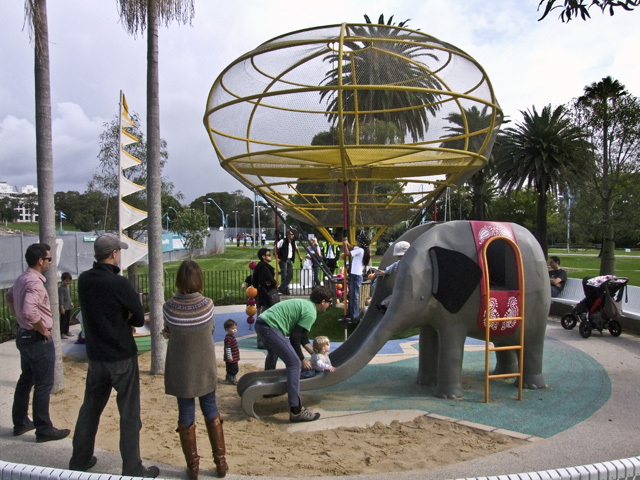 “Prince Alfred Park is already one of our most popular community parks – with popular sports facilities, an off-leash dog area, a children’s playground, a beautiful 50-metre pool and landscaped features, the park and centre are a great example of our strong commitment to excellent design for our public spaces and buildings,” the Lord Mayor said. The Australian Institute of Landscape Architect Awards jury described Prince Alfred Park as an “exemplary landscape” in a changing urban environment. “The redesign of Prince Alfred Park and Pool is a poetic reinterpretation of Sydney’s large 19th century city parks, and as such, is an outstanding contribution to Sydney’s heritage of urban parklands,” the jury said. The park was once bushland crossed by a tributary of Blackwattle Creek and camping place for local Gadigal people until the 1850s. The vegetation was later cleared to create a government paddock for grazing livestock and in 1865 became a public park. Landscape architect Sue Barnsley said it was a privilege to redesign one of the city’s most important outdoor spaces. “Through the City of Sydney’s commitment to design excellence and measurable sustainable aspirations, Prince Alfred Park brings together the recreational, the social and the ecological in the remaking of this community parkland,” Ms Barnsley said. 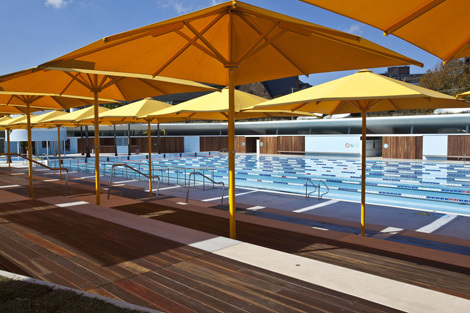 The City-funded Prince Alfred Park and Pool also won two awards in October: a Highly Commended award at the World Architecture Festival in the Landscape – Urban Category, and the Architecture Mixed Use Constructed category at the 2012 Sydney Design Awards.